The Favourite's Irish producers at Element Pictures have reacted to the film earning ten Oscar nominations, saying it is "incredible to get this recognition." The Favourite ties with Roma for the most nominations at the upcoming 91st Academy Awards, with nods including Best Picture, Best Director for Yorgos Lanthimons and Best Cinematography for Irishman Robbie Ryan. Speaking to RTÉ News's Sinead Crowley, Paula Heffernan, Head of Production at Element Pictures, said they are "absolutely thrilled". "It exceeded expectations. I mean, you always have a little hope that this is going to be a successful day, but that was just incredible", she said. "We're quite frankly overwhelmed here." Meanwhile, Element Pictures' Ed Guiney, who was previously Oscar nominated for 2015's Room, and Andrew Lowe, reacted to the film's honours saying, "We are in LA and jet lagged so we were wide awake and ready to watch the awards at whatever ungodly hour it was. "It's incredible to get this recognition – maybe because the film has been so challenging to pull together over such a long time it's all the sweeter. "Huge congratulations to all the nominees and we are especially delighted that Yorgos got the nod for director – more than with most movies, it's all down to him. "We are dying to get back to Dublin to celebrate with our gang at Element who have all been such brilliant fellow travellers on the journey. And of course huge gratitude to Fox Searchlight, Film4 and Waypoint." 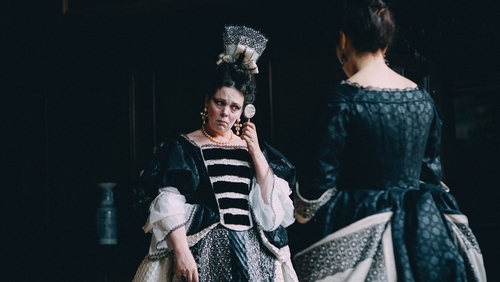 The Favourite's acting talents have also been recognised by the Academy, with Olivia Colman nominated for Best Actress in a Lead Role, and both Rachel Weisz and Emma Stone nominated for Best Supporting Actress. The film is also shortlisted for Original Screenplay, Film Editing, Costume Design and Production Design. The Favourite is not the only Irish interest for the upcoming Oscars, with short films Detainment and Late Afternoon also in the running for awards.